Some of the materials have been covered in the Halo novels so there are some overlaps. For fans who haven't read the novels, this is the all-in-one guide. This book is filled with art and 3D game models of characters, weapons, vehicles, equipments and locations. Everything is properly annotated. There are fact files for all the creatures and enemies with all sorts of information, sometimes right down to how their reproduce. There's also a whole arsenal of weapons and war vehicles with their specifications. The writeup on the war and conflict is very detailed. There's the complete history behind the wars, the warring factions, space colonization and technology. To casual fans (like me), this book might even be a bit overwhelming. 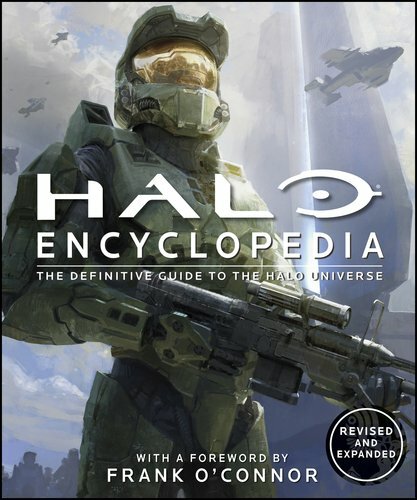 For all Halo fans, this is a great reference book, one where you can spend hours reading. This looks like a great reference and concept art book. Very thick, filled with very good images and a very good buy. But i have to say only from a artistic and character design viewpoint, as an outsider (i have never played the games), my problem with the halo universe is the characters and how generic they look. They don´t seem to show any individual personality compared to, let's say, gears of war, warhammer 40000, metalgear solid and others (even tough this games also rely on heavy typecast characters ). Well it could be true. I'm a sucker for the Gears of War's concept, imagery and all so I could have a biased opinion here. I think we all agree that technically Halo's concept and execution is flawless, you can really tell they put huge ammounts of effort in every little detail. But as to originality, it is not the most original piece of work on the planet, so I think Luis got a point here. Anyways the book looks awesome, I'll definetly buy it. It could also be that many other games have upped their game (pun) so it's difficult for Halo to stand out in terms of design. Just to clarify, i was talking about the main characters, Master Chief and soldiers, that i think look very similar one to the others. The enemy, ships and environments are very good. I managed to stumble upon your blog through this page, while searching for interesting Halo 3 artbooks. I really just wanted to let you know that your blog is incredible, it's insightful, and it lets me know what to keep an eye out for - I love that you flip through the books to give us the gist of what is inside. This is probably my new favorite blog. I do wonder though. Do you buy all of these books yourself? Are they sent to you as promotions? And, out of curiosity, how collectible are some books? Do they get pricier with age? I'm interesting in collecting some, so I'm genuinely curious. Most of the books reviewed here are mine and many are borrowed as well. I don't usually get sent books by publishers. I won't say books can be classified as collectibles, especially art books. They don't usually appreciate in price with age, although I've seen merchant selling out-of-stock books at ridiculously high prices. Even so, it's hard to sell them secondhand. Hey Parka, could you allow me to register on the forums with this username? Love the blog btw, I've been following it for a while now. Is this book still worth buying? I saw it in my local Waterstones but to be honest I'm concerned that with the release of Halo 4 that there will be a new edition out soon. It's worth buying. I'm sure there's also going to be a new edition out though.